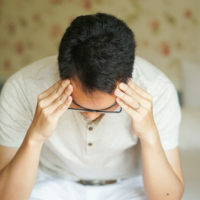 Traumatic brain injuries—or TBIs for short—are fairly common, but what is not commonly known about them is how much of a devastating effect they can have on a family. Unlike other injuries, the effects of a TBI occur over time, and while a victim may seem fine initially after the accident, symptoms can start to arise years after the incident. Unfortunately, the symptoms do not just negatively impact the victims; they also wreak havoc on their relationships and the people who love them the most. According to the same source, TBIs account for $60 billion in medical costs in the United States. Those medical costs are both direct and indirect. Age groups most likely to sustain traumatic brain injuries are children 0 to four years old, adolescents aged 15 to 19, and elderly individuals who are 65 and up, with adults aged 75 and p having the highest rates of TBI-related hospitalization and death. Obviously, the victim of a TBI will suffer a great deal of pain, discomfort, and emotional duress. However, unlike most injuries, the families of victims tend to suffer as well. Most TBI victims require long-term rehabilitation, ongoing therapy, and extensive mental health counseling. This can be expensive and time-consuming. Then there is the loss of income the family must cope with, which can be devastating, especially if the victim was the head of household. Now, not only must family members come up with money to pay for therapy and rehabilitation, but also, they must do it on a tighter budget. Additionally, family members who already have their own responsibilities to take care of must make room in their undoubtedly busy schedule to take over the responsibilities the injured person can no longer assume. Sometimes, this taking over of responsibilities can be temporary, but oftentimes, it is permanent. The most serious brain injuries result in disability and therefore round the clock care. Even if the need for nursing care is temporary the costs can still skyrocket; long-term care can be bank-breaking, especially if the victim requires specialized equipment at home. In addition to physical and household changes, TBIs often result in mental changes as well. Many TBI victims suffer from depression, severe mood swings, violent outbursts, anxiety, and aggression. Oftentimes, family members find that they are unable to sustain a relationship with the victim for much longer. Florida law allows individuals to seek economic damages—including lost income, future lost income, medical and funeral expenses, lost support, and other economic losses—that were the result of a negligent action. Most people are unaware of this, unfortunately, and so they go without the compensation they rightfully deserve—and the compensation they need to recover in comfort. If you or a loved one sustained a TBI in an accident that was caused by someone else’s negligence, reach out to a Miami personal injury attorney to learn more about your legal options. The compassionate team at Spencer Morgan Law understands just how devastating a TBI can be and will help you do what is necessary to obtain the compensation you deserve. Do not delay, and call 305-423-3800 to schedule your free consultation today.